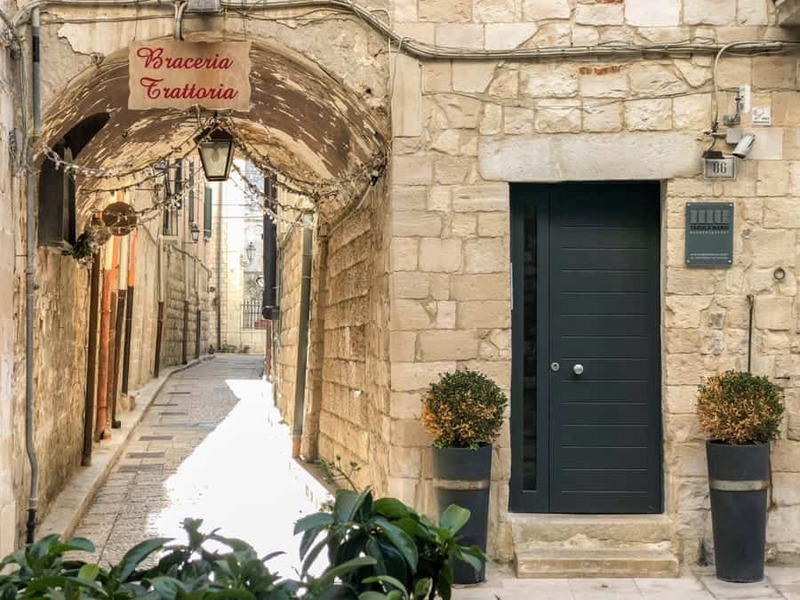 I recently made the unexpected decision to add Trani, Italy to my Puglia itinerary when I was visiting the Italian region known for food in February. I knew nothing about the city of roughly 54,000 people except that it would fill the void of my canceled tour to other famous destinations. This is a guide to why I think you should visit Trani, Italy – a very underrated and overlooked Puglia gem. My trip to Italy’s Puglia region was a long overdue one. I had planned to hit up the southern Italian region for so many years but things always went awry. I finally booked tickets again to Puglia, or Apulia as it is referred to locally. 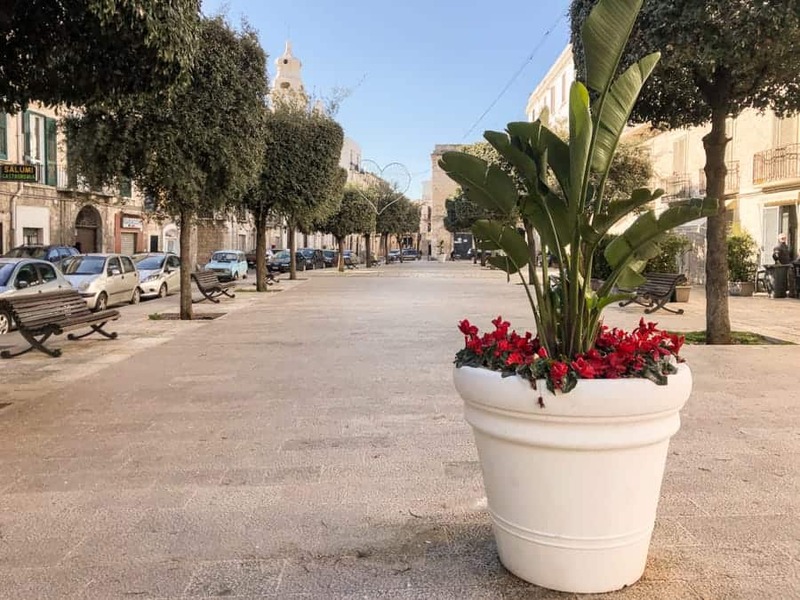 My main goal was to visit and write about Alberobello and Matera, two of the most famous sites in the area and to provide information about how to do them as a tour from Bari, Italy. A day prior to leaving on my tour, it was canceled by the tour aggregator company because the tour company was unreliable and consistently providing unsatisfactory tours. 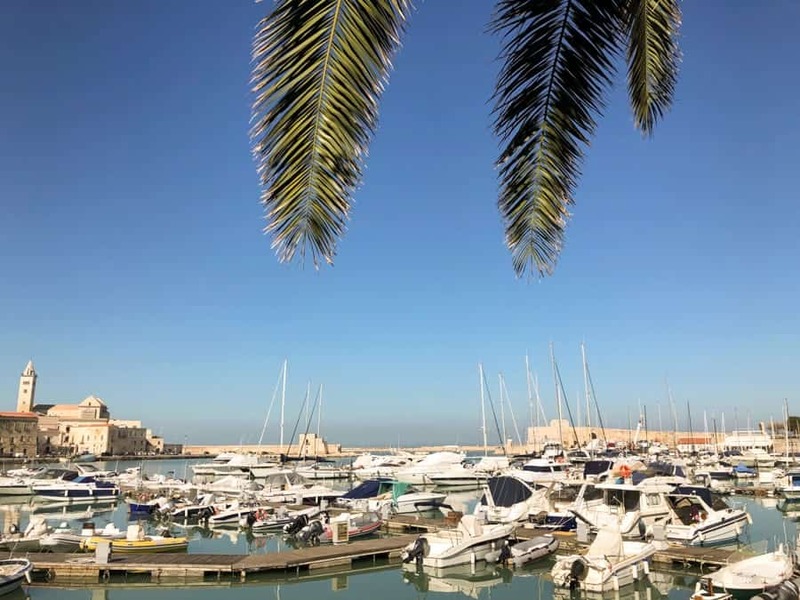 While glad for this as I wasn’t keen on recommending tours like that to my readers, I was left with an extra day in Bari, a place that I was using mostly as a base for this Puglia trip. I decided to add Trani, Italy to my itinerary. The city was located not too far north of Bari and I knew pretty much zilch about it. The photos made it look pretty and relatively easy to visit so I figured it would fill up my day and nothing else. I had no idea that it, along with Monopoli, was going to be the highlight of my entire Puglia trip. 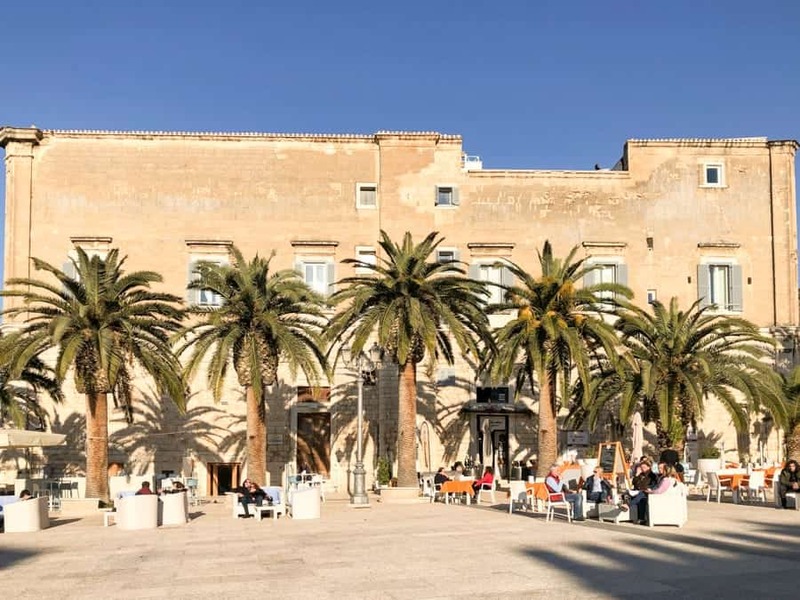 Below are some reasons I think you should not overlook Trani… and this details what to do in Trani, where to stay, and additional information that I think is relevant for those looking to visit a place in Puglia that is highly underrated. 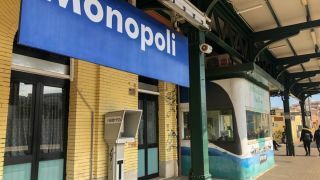 Getting from Bari to Trani is extremely easy with public transport. 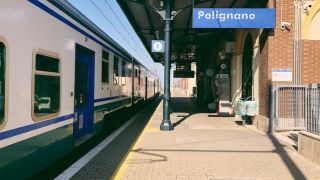 The best way to start your journey to Trani is to go to Bari Centrale, Bari’s main train station, and find the next train there. They leave regularly (around every 30 minutes) to head north and Trani is a stop off of most of the lines going north. 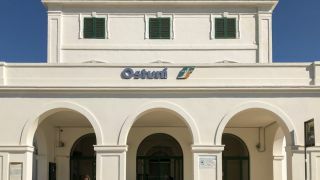 A 2nd class ticket on the train to Trani from Bari costs €3.20 one-way. You can purchase this ticket directly from the machine at the station. The train from Bari to Trani takes 39 minutes and heads in the direction of Barletta. Be sure to validate your ticket in the green Trenitalia Machines in the station before heading to the platform. I went to Trani in late February into early March this year. The weather was ideal for me as someone who hates extreme heat and likes to be comfortable walking around. The temperatures were hovering around 14C, or 57F, and the sun was pretty much shining the entire day (although it definitely did rain when I was in Puglia). 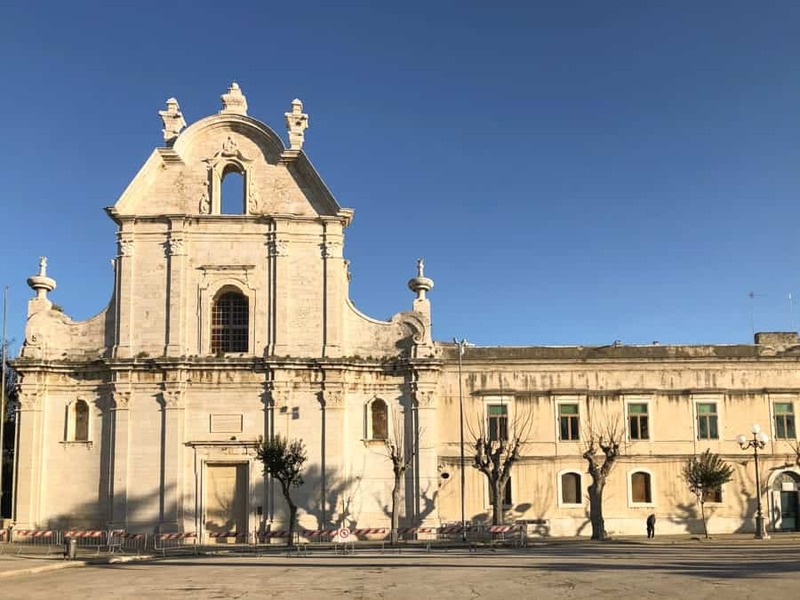 The only issue with heading to anywhere in Puglia during February is that you’re hitting it during the offseason and things really do shut down for holidays or repairs during those months. I hit this majorly when there. It didn’t particularly ruin my trip as it was expected but I certainly was limited on what I could do as a result. Summers in Puglia and Trani are much warmer and everything is open and ready for business! The city of Trani, Italy sits around 40 kilometers, or 25 miles north, of Bari, Italy and is easily accessible from the main train lines leaving Bari to go north. The city is known for its picturesque seaport and historic cathedral. The city really flourished during the 11th century and its strategic location played an important part during the Crusades. 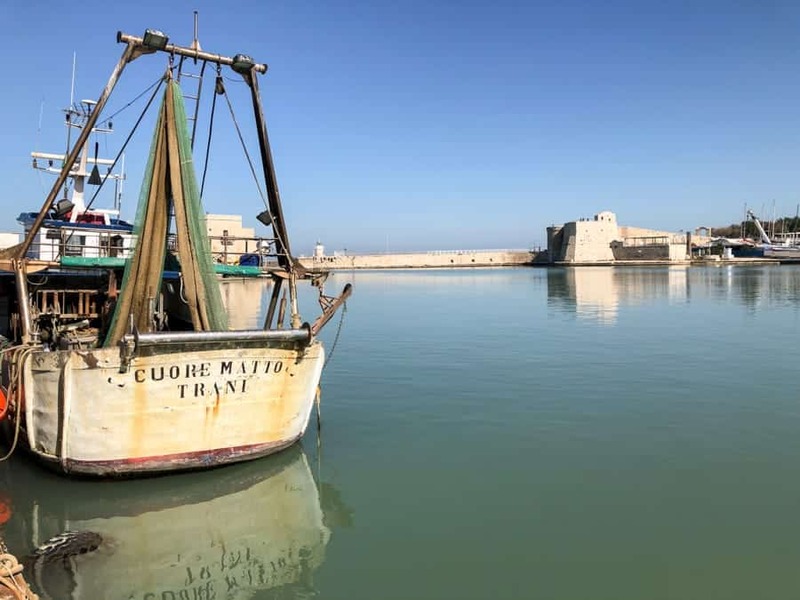 Trani also has a very renowned Jewish history as it was traditionally populated with many Jews during the 12th century and forward and was famous for its large Jewish communities in Southern Italy. Many well-known rabbis came from Trani and practiced there. 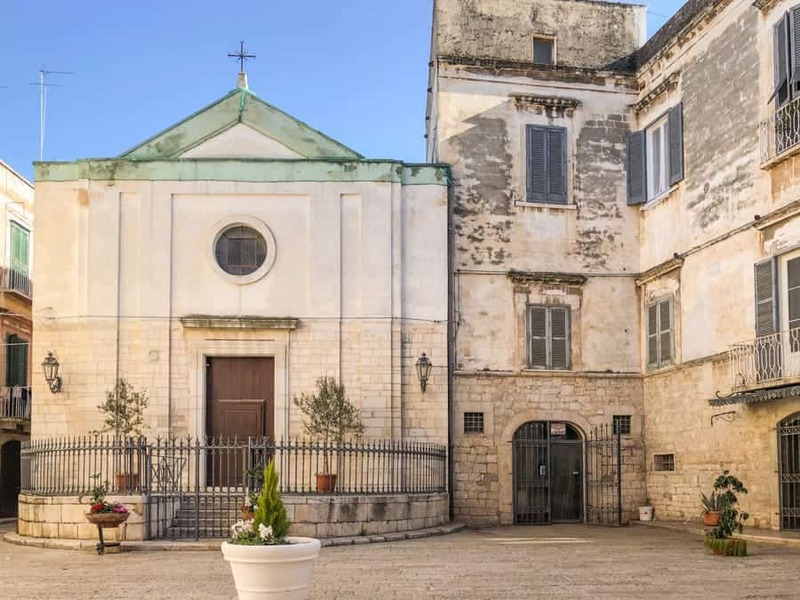 The Scolanova Synagogue is an example of a well-preserved synagogue in Trani that still exists and is in use even today. Known more for its history than anything else, Trani still has gained a reputation for having great figs, almonds, olive oil, and Moscato di Trani (yum). I was pretty blown away by Trani, to be honest. I wasn’t expecting much but needed to fill a day when in Puglia and I am so happy I unexpectedly ended up in the city. I arrived late morning and found myself vying to stay later than I had anticipated. After I arrived, I headed straight for the water and harbor area. 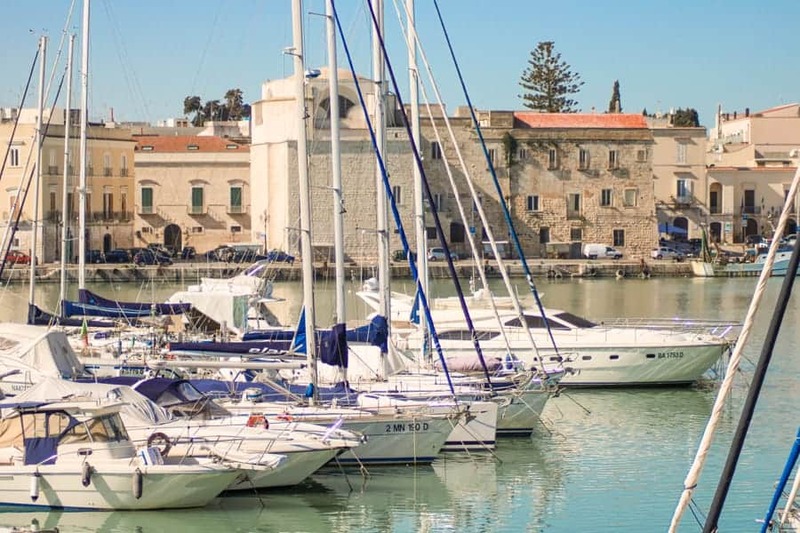 I had visited many Puglia cities and towns on my trip that I was expected a rather quiet harbor with nothing to do as I had found in some of the other places (it was the off-season). Instead, I found a really quaint and somewhat bustling harbor area. Some restaurants were open and there were locals scattered about in them. I don’t recall seeing other tourists in Trani that day… but every local I came into contact with was friendly and chatty, something I love about Italy. To fill my time before restaurants opened for lunch, I meandered around the harbor and photographed the boats and birds flocking around. I also decided to message pretty much everyone I know to inform them of what a hidden gem Trani was because my mind was blown at the place. 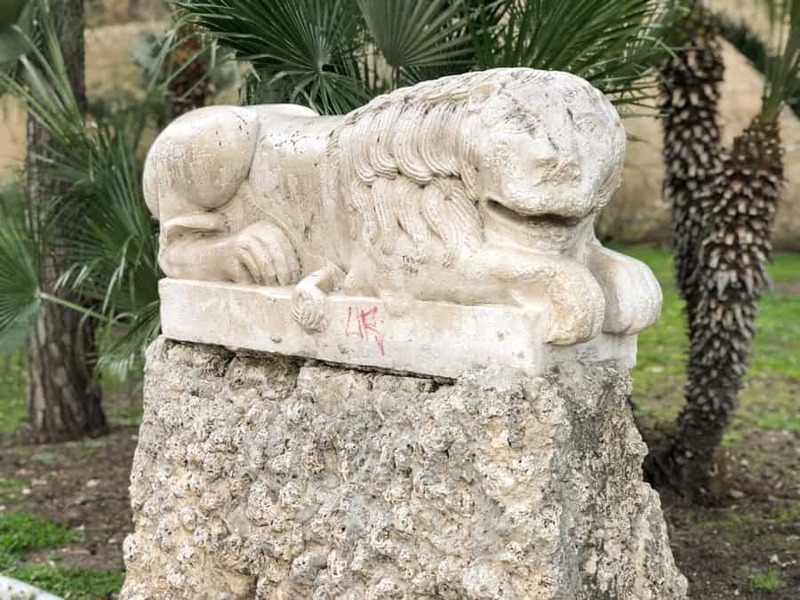 One of the key sights in Trani is the Svevo Castle, a fortress located on the sea and close to the Trani Cathedral that was built by Frederick II of Swabia in 1233. 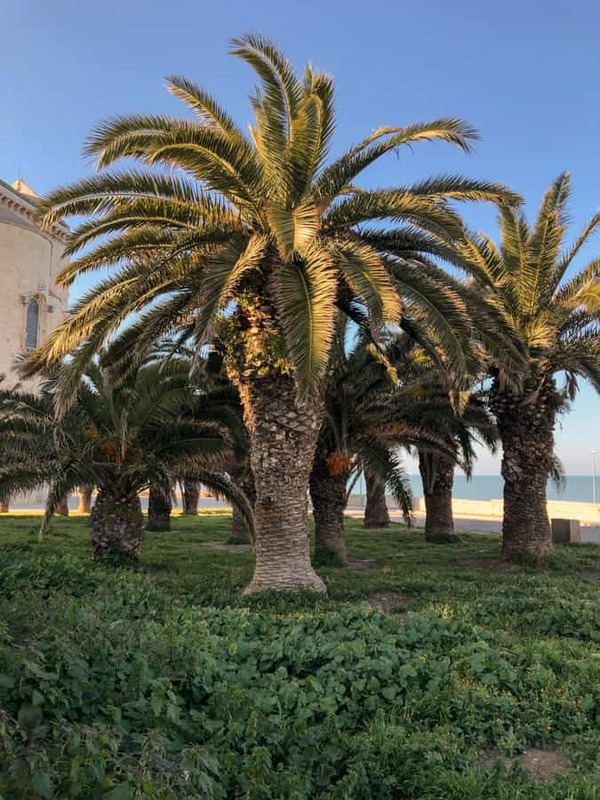 Despite its important history, the castle sits so majestically on the seafront and the views from around it were some of the best Trani had to offer. Svevo Castle is open from 8:30am until 7:30pm to visitors and has been accepting visitors since 1998. My experience at Svevo Castle was so ‘meh’ it hurts. The entrance fee is €5 and I can think of about 100 other things that €5 would have been better spent on. I went in merely to feel cultured and take some photos so I could write about it. Turns out, the entire thing was under construction and was barren and boring. There weren’t even any views of the sea at the time! The most interesting thing about the Svevo Castle was the museum inside of it. I didn’t particularly know what I was looking at and kind of skipped over it in an effort to explore the actual castle. By the end of walking through the boring, completely refurbished thing, I was so angry at the waste of money that I complained about it and walked out. If you’re in Trani, I would verify before going into the castle whether or not it is under construction. I wasn’t informed of this and would have opted to do something else instead. If it is under heavy construction, spare that €5 and go for a drink or some gelato somewhere. 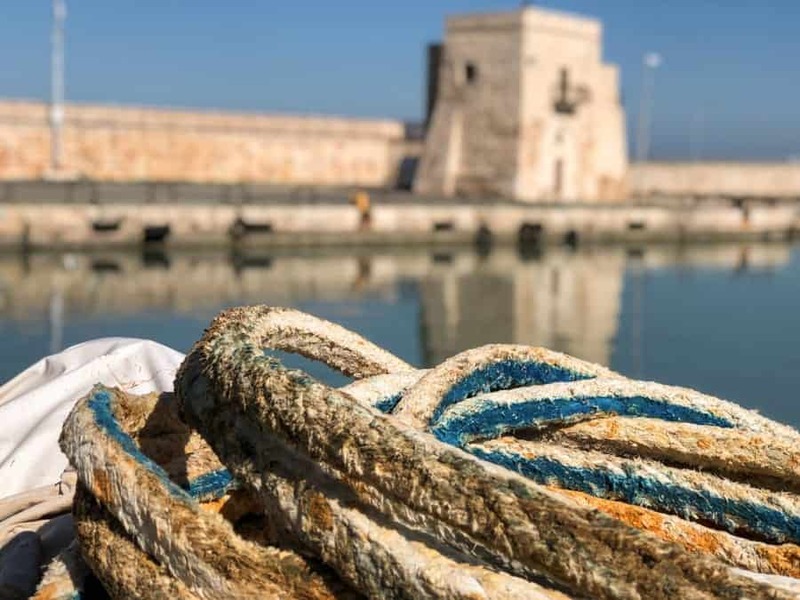 If you’re a history buff, the Svevo Castle in Trani may still be your jam. 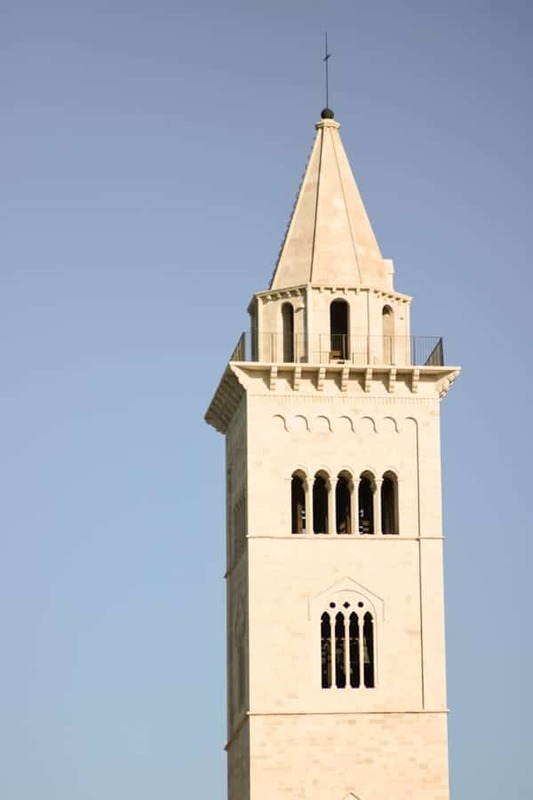 Near the harbor and going toward the castle sits the picturesque Trani Cathedral. Also referred to as the Cathedral of San Nicolás, the gorgeous building dates back to the 12th century and was built with sandy, pink stones with a 60-meter tall bell tower. The Romanesque building is open to visitors daily from 8am until 6pm. It definitely is one of the best places to photograph and visit in Trani. When I arrived in Trani, I checked out my Google Maps and headed straight for the water. Having previously spent time in Polignano a Mare and Monopoli, I was expecting rugged cliffs and not much going on in the harbor if there was a real one. I was completely blown away by the harbor in Trani. The harbor is huge and is packed with fishing vessels, yachts, and private boats. 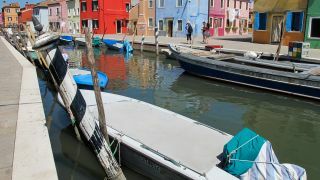 Surrounding the harbor are restaurants, gelaterias, and cafes galore. It was the first time seeing that directly on the water during my Puglia trip. Monopoli had a nice harbor but the atmosphere in the city seemed a bit more based outside of the harbor area. Polignano a Mare sat high above the water on dramatic cliffs and rocks (although there were plenty of small beaches in various places throughout the city). I definitely recommend plotting ahead and giving yourself an hour or two to peruse the harborside and also try to have a nice lunch or dinner there. Once I was through exploring the Trani port, I decided to wander the streets of the city. I found a clean and extremely charming city waiting for me. Very little was open because… Itay. But, I also suspect some things would have been more bustling in the evening hours and not earlier in the day. 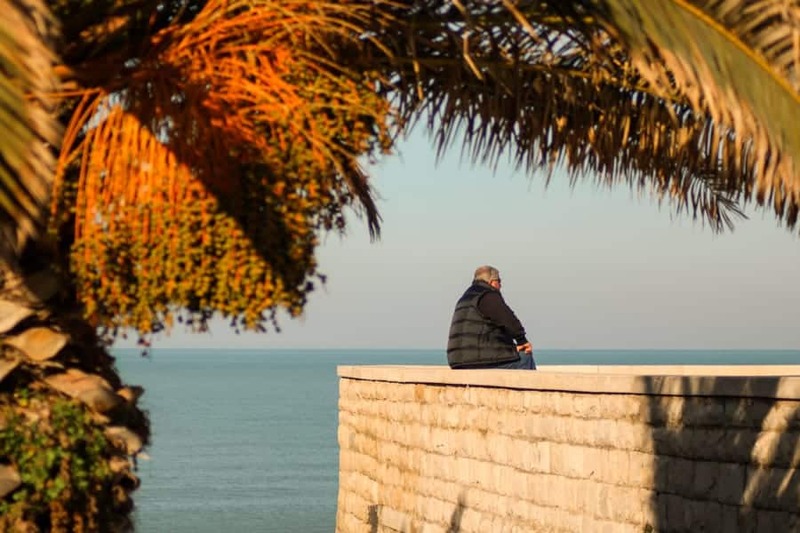 On the opposite side of the harbor to the Cathedral and Svevo Castle sits Villa Comunale di Trani, a large promenade and park that is home to several lookouts, cafes, statues, and pieces of art. This area became one of my favorites and is an essential thing to do in Trani when you’re there. The day I was in Trani, I ate my first meal here. I ordered a pasta with seafood as I was craving carbs and it was really delicious. It actually tasted better than it looks in the photo and I was impressed with it. They offer everything from pasta to seafood and I saw someone order their Orecchiette (a pasta originating in Puglia) and it looked incredible. Next time, I will opt for that. 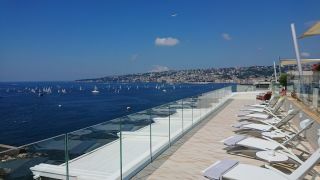 The restaurant also comes with friendly service and a spacious terrace right on the harbor. 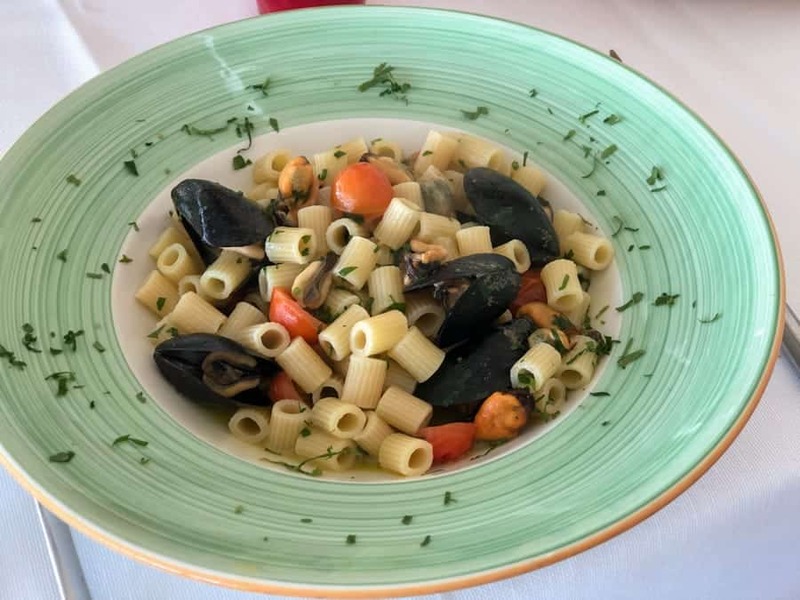 Another harborside restaurant, Osteria La Perla Del Sud offers a variety of dishes and is definitely the place to get your seafood fix in Trani. They have several types of pasta available and you can order your favorite with the fresh catch of the day or a mixture of seafood. I actually think I may have an ice cream addition. 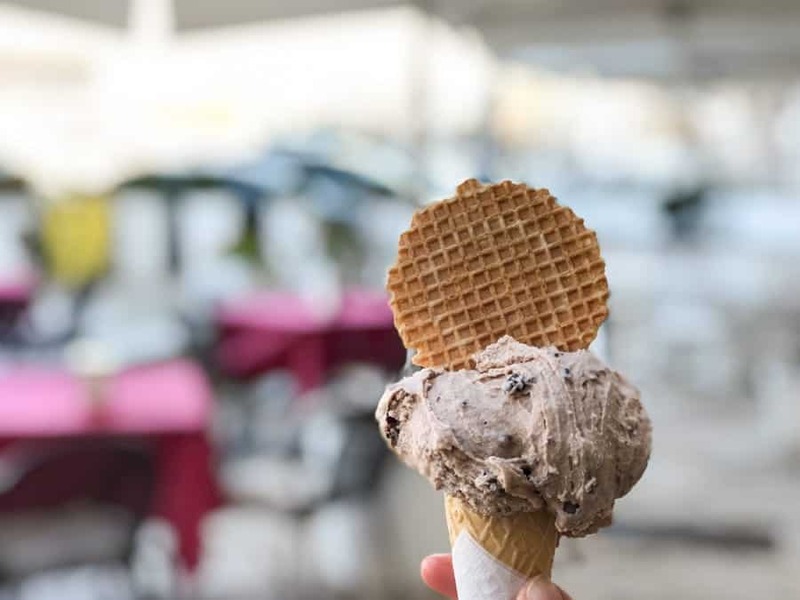 For someone who is lactose-intolerant, this addiction is probably going to kill me someday, but until then, I will take joy in visiting Trani and the rest of Italy and indulging in some of the world’s best ice cream and gelato. I enjoyed Bar Gelateria for a late snack of gelato in a cone. 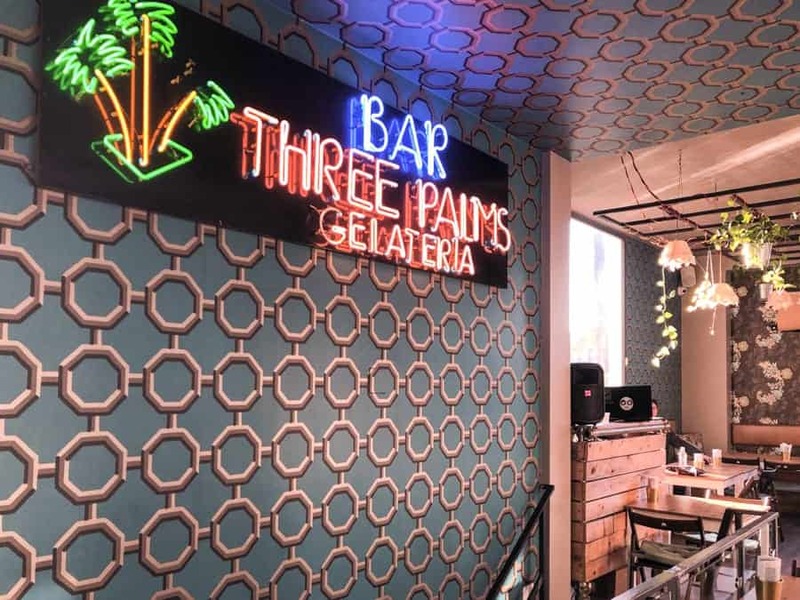 One of the most aesthetically pleasing places in Trani is Bubbles Bar / Three Palms Gelateria. I stumbled upon it on my way back to the train station in the evening and was taken aback by its hip decor on the exterior and interior. I went inside to check things out and the place was just cool. That was the moment I really regret not staying in Trani overnight and getting to experience this place’s nightlife. It stands alone inside of Piazza della Repubblica (Republic Square). 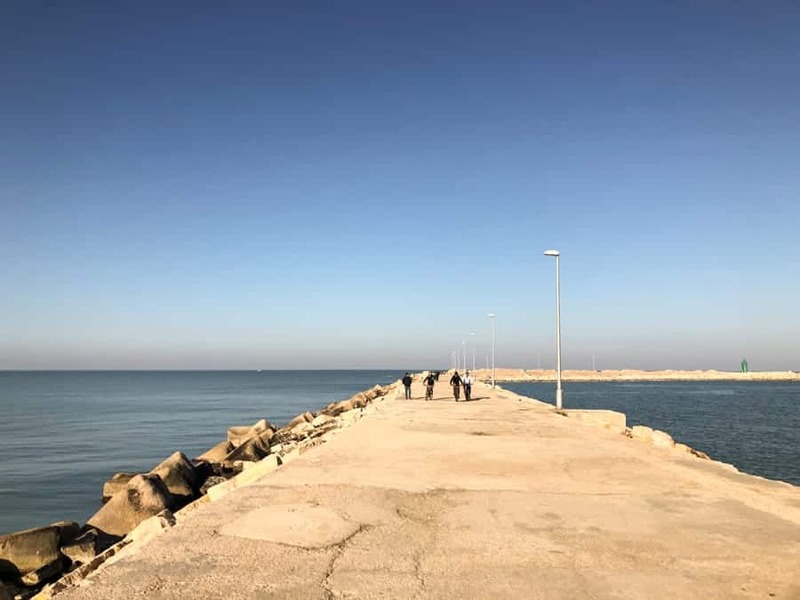 While I went to Trani independently and found it rather easy to do so, you might be interested in a tour if you are short on time or want to know more about each place you visit a bit more in depth. It is also difficult to reach one of the area’s most famous sites, Castel del Monte, without some type of planned transportation or prior arrangements. These Trani tours come highly recommended and will allow you to have the ultimate experience. ⇒ Good walking shoes: The train station to the harbor in Trani is a bit of a walk and you will be thankful that you wore good walking shoes. 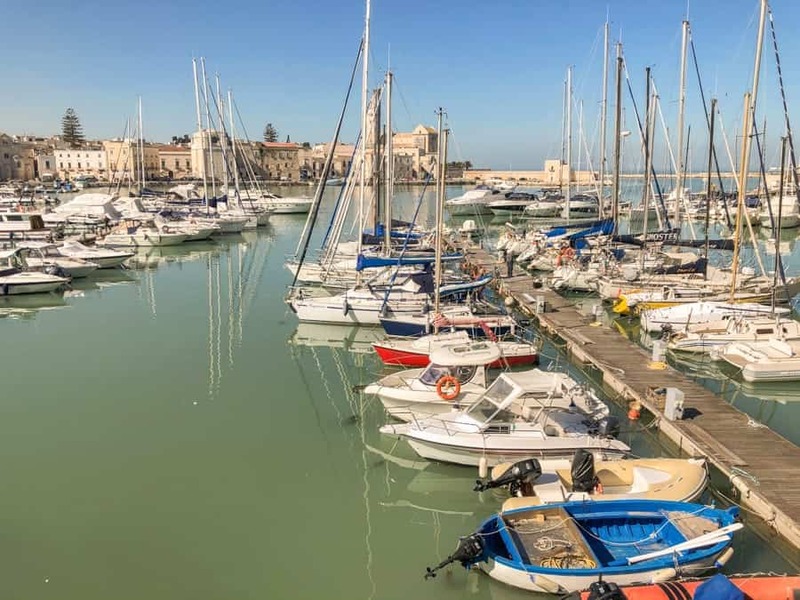 In addition, a lot of Trani is situated outside of the Old Town and you can walk the promenade area for a while and admire the views. Good, comfortable walking shoes are essential. Click here to check out the Vans I wore on my trip to Trani. ⇒ Lightweight backpack: I, for once, opted to not bring my computer with me for my day trip. Sad, I know. But, I definitely was thankful to bring my backpack with me for the day as it housed some of my camera equipment and my GoPro. 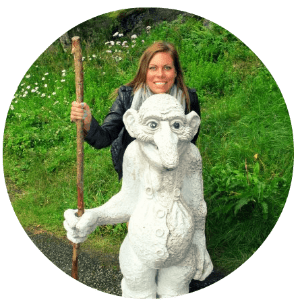 You can find my WANDRD backpack (specially made for photographers) here. ⇒ Sunscreen: It was very sunny when I was in Trani, but it was a bit chilly, so I wore a jacket and covered up. If you’re there during the summer, do not fail to slather yourself with sunscreen. You can find some of the best sunscreens here. ⇒ Awesome Sunglasses: I rarely travel without a couple of pairs of shades and I definitely didn’t fail to travel to Puglia without a couple of pairs. In Trani, I actually wore a pair I purchased from Aldo in Yerevan, Armenia. You can see the Aldo shades I wore in Trani here. Otherwise, I usually can be seen sporting shades from Quay Australia. You can check their latest lines here. Okay, so this warrants its own category anymore as it was the bane of my existence when I was in Italy the last time. I always seem to casually forget that Italy uses kind of different power plugs than the rest of Europe. They use the usual two (sometimes three) prongs, but if the prongs are too thick, it doesn’t fit into Italian walls. I actually had to track down a store in Bari to buy an adapter so I could use my computer. They didn’t have one but gave me some random converter they found in the back for free (it was someone’s personal item!) This is the scenario every time I am in Italy and now I know to always double check before traveling there. I have since ordered a proper power adapter that fits Italian sockets. 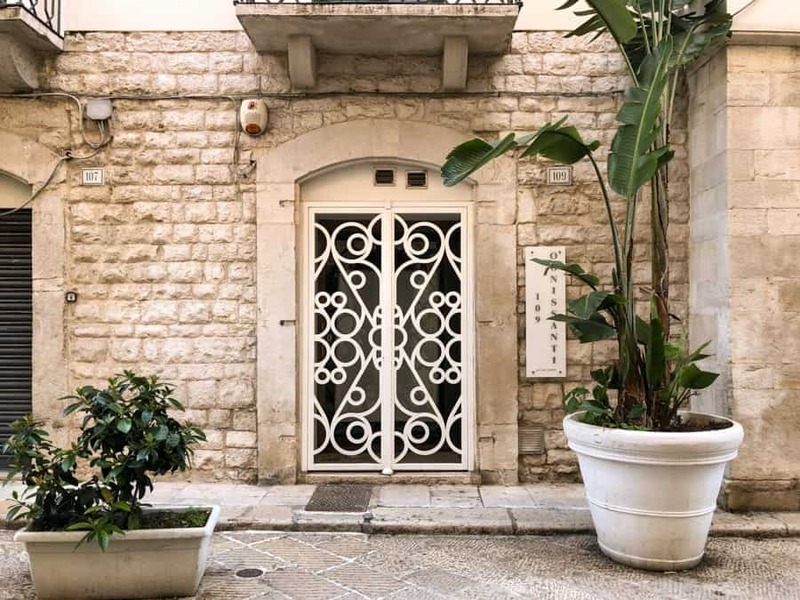 Staying in Bari and using this city in Puglia as a base is a very smart choice. I based myself in Bari most of my time with the exception of my stay in Monopoli where I stayed in its Old Town. 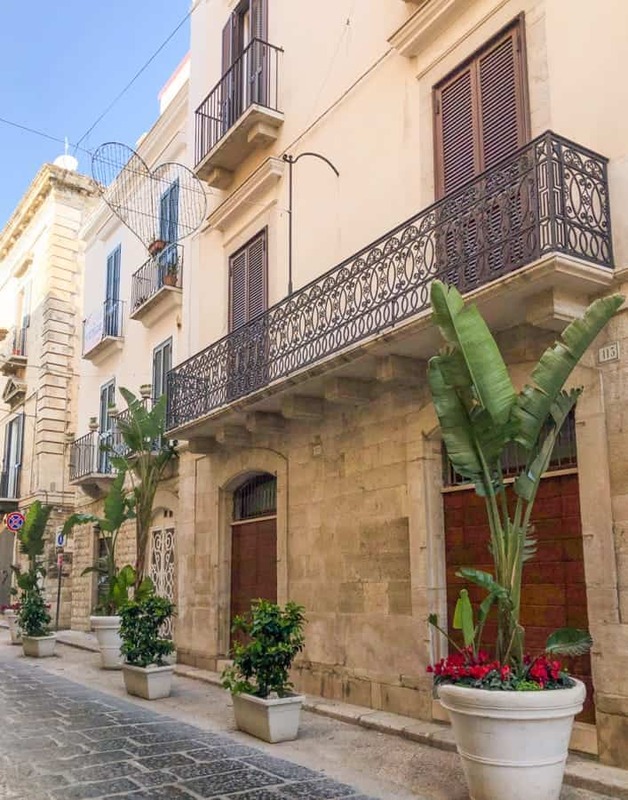 There are heaps of places to choose from in Bari and I had the luxury of staying at two wonderful mid-range places in the city. I stayed here my first night in Bari and really loved the place. 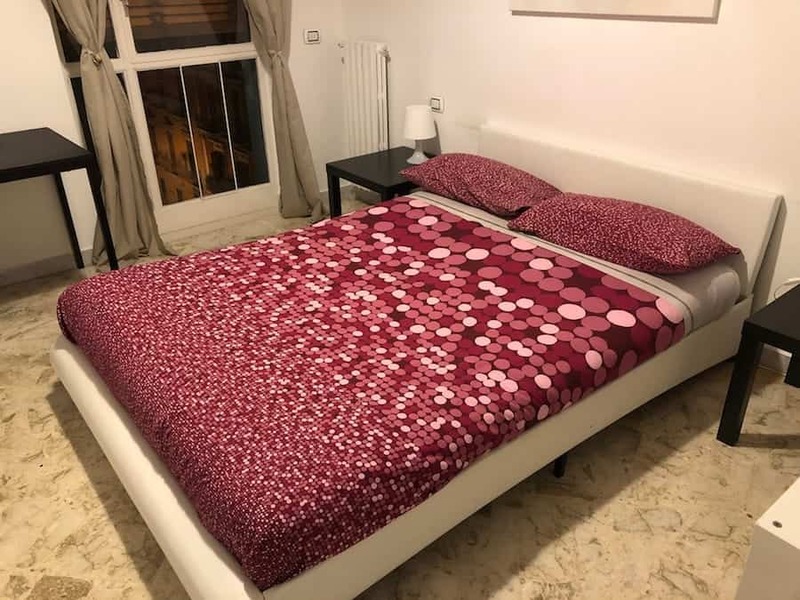 It was wonderfully located and was a short walk from the Bari Central Station, which was perfect as I arrived a bit late in the evening and didn’t want to have to walk deep into the city to a hotel or guesthouse. Everything was clean and practical. The bathroom was also extremely nice. I stayed at De Rossi my last two nights in Bari. 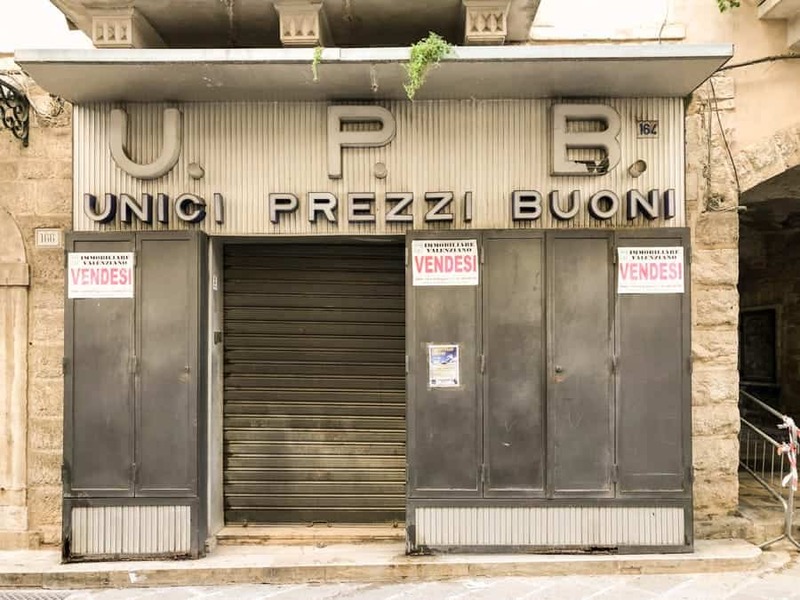 It was located closer to the Old Town of Bari and near heaps of shopping and restaurants (the shopping part got me in trouble eventually). The room I stayed in had a nice tropical theme and was inviting, quiet, and really well-suited for my travel style. I thoroughly enjoyed my stay at De Rossi. Yes, I recommend signing up for travel insurance for your Italy trip. Italy is a relatively safe country, but accidents happen everywhere and I have had friends hospitalized for unexpected incidents in Italy (I haven’t had issues myself- knock on wood). 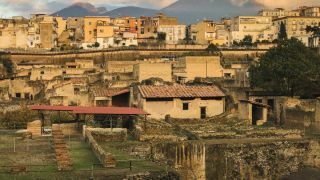 Traveling without insurance to Italy can end up expensive and a major ordeal. I recommend World Nomads as I use them myself and have traveled across the world using it without issues. Trani was easily one of my surprise destinations of 2019 thus far. I can’t believe this city north of Bari is so overlooked. I mean, the entire Puglia region is spectacular, so I can only assume it is because people are dealing with limited time… but I definitely think Trani should be added to your Puglia itinerary. 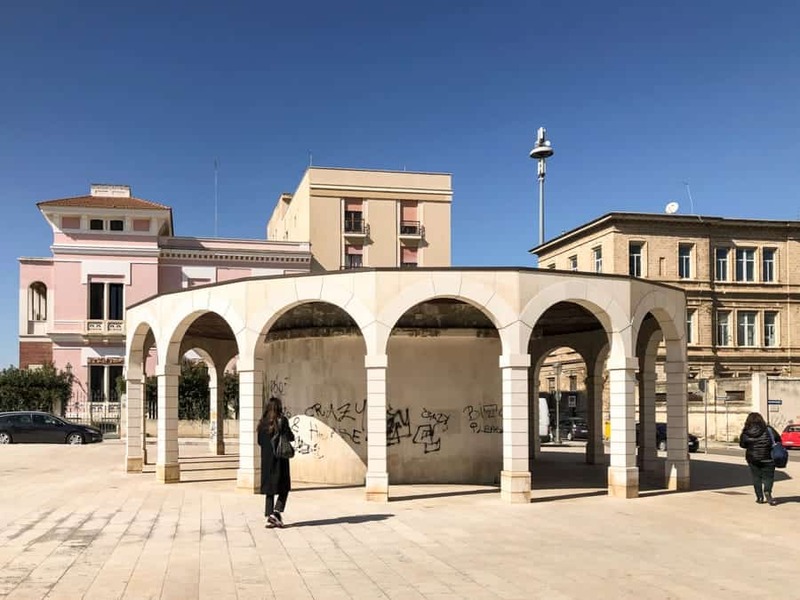 Not only are there many things to do in Trani, but there is also an untouched rawness to the city that was more palpable than I felt it anywhere else. 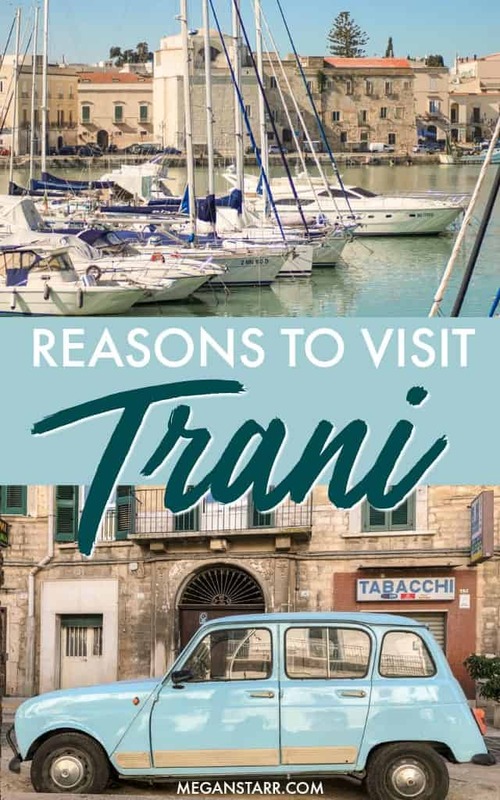 If you have any Trani recommendations or suggestions, please drop them in the comments! I would love to have more insight for the next time I visit!